Senior vice president at Apple, Craig Federighi’s recent announcement about “bringing Apple Pay to the web” at Apple’s Worldwide Developers Conference sent the payments world in a frenzy. Some even dubbed it as the biggest thing in e-commerce tech since e-commerce itself! Starting this fall, while shopping online, users will see a “Pay with Apple Pay” button and when they click it, they’ll be asked to securely authenticate their purchase using continuity right on their iPhones with Touch ID. So imagine you actually start shopping – for your favorite iPhone accessory, a tablet, golf equipment for your kids, or for that matter, groceries for home – on your desktop or laptop and complete it on your smartphone. How cool is that? 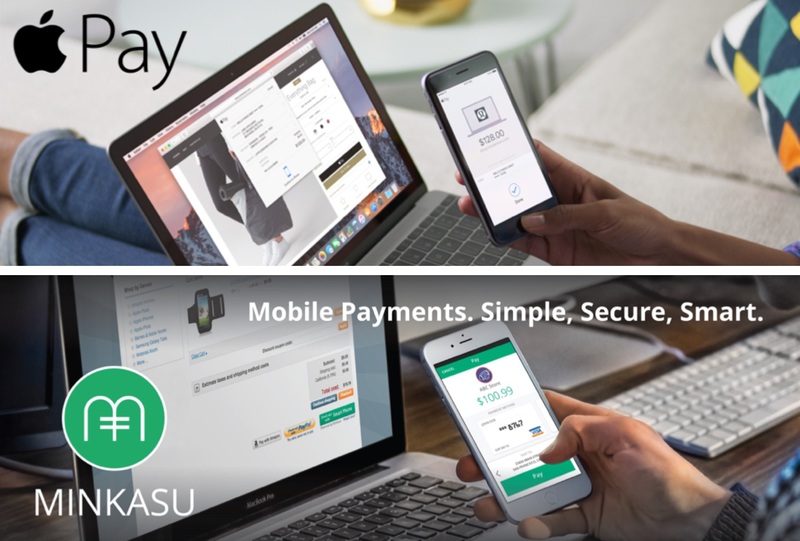 We, at Minkasu, introduced this brand new paradigm to online payments more than a year ago. Our patent-pending technology make use of tokenization, ID verification and biometrics. With Minkasu, users see a “Checkout with Smart Phone” button and when they click it, they are asked to tap pay and securely authenticate their purchase on their smartphones with Touch ID. Apple Pay follows a similar workflow. Whoa!!! Though we’ve always been proud of our core tech, this kind of validation from Apple, a company whose products we all use, and a company that we all respect, has taken our excitement to a whole new level! Though the tech mogul has taken the Minkasu approach to ecommerce, Apple Pay will work only on Safari browsers on Apple devices. Minkasu, on the other hand, works on all devices, all browsers, and all operating systems. It is a ubiquitous solution that delivers seamless user experience and removes mobile payments friction across all channels — online, mobile web, social, messaging platforms, in-app and in-store — without usernames and passwords. Furthermore, in order to use Apple Pay for the web, you need to setup the Handoff feature of Continuity between your iPhone and Mac. This requires both the devices to be connected to the same Wi-Fi network. They need to be in close proximity to each other with Bluetooth enabled. In addition, you also need to be signed into iCloud with the same Apple ID at the same time on both devices. Get Minkasu. Join the payments revolution today. Download the Minkasu App from App Store and Google Play, play around, and let us know what you think. Minkasu is also accepting new merchants and non-profits in its network. Interested? Please drop us a note at marketing@minkasu.com. Minkasu is FREE for both users and merchants.